Comrade Trump has officially chosen shouty CNBC television personality, Reagan-era TV economist who blew Chimpy’s financial disaster—along with every other call he’s ever made— Larry Kudlow to replace the soon-to-be departed living volley ball, Gary Cohn (seriously, he could have played Wilson in Castaway! ), as Chairman of the National Economic Council. This entry was posted in Larry Kudlow, The Baghdad Bob of Economics. Bookmark the permalink. 9 Responses to Handsome Devil Larry Kudlow: You’re Hired! Um, trickle down economics works for Russian pee hookers, does it not? Also too, the NYSE Obama Bump is officially over. Hold on. Sam Brownback wasn’t available? He screwed up Kansas royally so now he’s ready for the big leagues. Time to cash out and stock up on Rubles and Yuan – as Larry “Things Go Better With Coke” Kudlow may start making Ben Carson look like a brain surgeon. PS – i wouldnt let “Dr” Carson (or his friend Jesus) put a band aid on me, no less open my brain. We used to scream with laughter at Larry during the W Bush years every day. He would go on air raving how now, today, the economy is going to take off! Like rocket fuel! To the moon! W Bush is the greatest economist ever! Sometimes it was a drinking game, but it happened continuously right up until the crash. 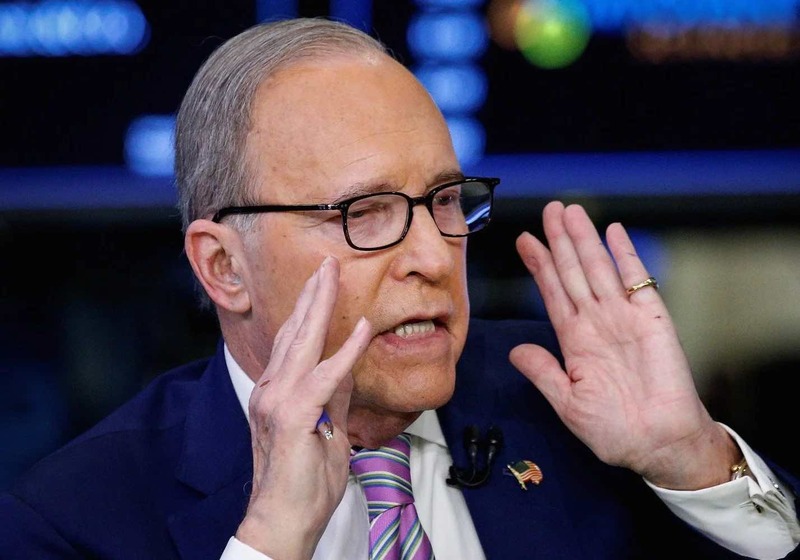 Kudlow is just your typical incompetent know-nothing GOPer. Bill Kristol of Wall St.
i must admit that he does have more ‘experience’ than any of dumpy’s cabinet members had when they took their positions (i.e. on their knees).